Winter is coming, are you and your roads ready? We human beings are highly intelligent and innovative, and our abilities have enabled us to achieve great things - such as developing cures to many fatal diseases and even sending men to the moon. In years gone by we did not know that cholera was caused by dirty water; but when we found out we innovated and created clean and efficient water networks in order to eradicate this disease in the UK. Why is it then, when we discover the cause of something which is undesirable, such as a head injury or concussion, that innovation to prevent it is slow to materialise? Think about the recent Ebola epidemic, which has now made it commercially viable for the big pharmaceutical companies to pump resources and money into developing a cure. Call me a cynic, but there is no question in my mind that in recent years the research and development currently being undertaken could have been completed had the will been there, resulting in hundreds if not thousands of lives saved in the current outbreak. Instead we are reacting to the outbreak. 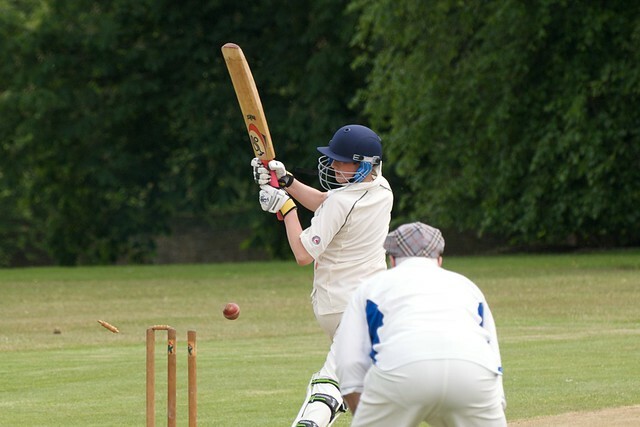 Going back to the issue of head injuries it saddened me to learn of two recent deaths in the cricket world following incidents where a player and umpire were struck by the ball during play in what have been described as 'freak accidents'. I accept that it is not possible to foresee every eventuality when engaging in sport, as everyone playing accepts some risk of injury, but it has surprised me to hear English clubs (interviewed in the media following the tragedy), suggesting that they will now review their player's equipment to ensure they have the latest technology to make them as safe as possible. It is common knowledge that head injuries and concussion can have serious consequences, and even be fatal. Why then are sports clubs not ensuring proactively that their equipment is up to scratch? There are also many reports of massively increasing sales of cricket helmets at amateur level. It is important to acknowledge that, although clubs and governing bodies have a responsibility, we must all accept some personal responsibility for our actions and choices. I am not suggesting that we should all stop engaging in sporting activities for fear of being injured in one way or another, far from it. Sport and being active have many widely known health and social benefits. I myself enjoy participating in sport and have undertaken dangerous activities both in Britain and abroad, but I have done so in the knowledge that I have ensured as far as I can that the risk of injury is as low as possible. It is interesting that there is already widespread public concern regarding safety in some known dangerous situations (well justified in my view), for example, members of our armed forces being placed in the field of battle with inadequate or outdated equipment which increases the risk of them being injured or killed. Why then should we, both as individuals and collectively as a society, accept that those of us who participate in sport, professionally or at grass roots are not provided with the best possible protection against injury? This doesn't have to involve expensive or overly restrictive equipment, it can be something as simple as changing the rules. The BBC reported over the summer that a group of concerned parents in America started legal action against FIFA, calling not for compensation but rather for changes to the rules. 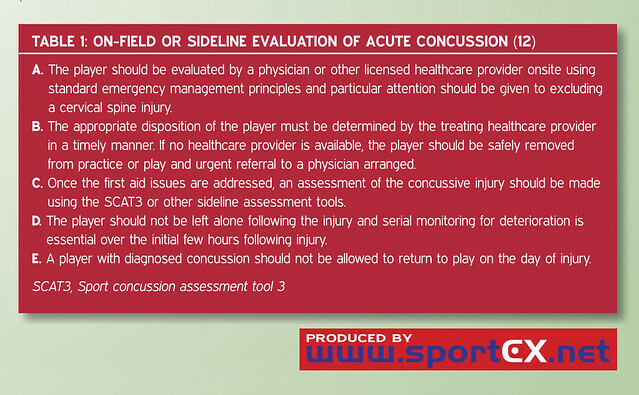 Their sole aim is to reduce the risk of head injury and concussion for young players - which to me is a perfectly reasonable request. Following this, in September 2014 the New York Times reported that FIFA were indeed expected to make changes to rules regarding head injuries. FIFA has held a number of international conferences on the issue of concussion in sport, attended by various sporting bodies such as the IRB, the Equestrian Federation and the International Olympic Committee. One outcome of these conferences has been the development of a pocket concussion recognition tool which is designed to assist anyone involved in sport to recognise and effectively treat concussion and head injury. It is not clear how widely available this guide is, or whether it is utilised, particularly at grass roots level (or indeed at international level). Without properly enforced sanctions a pocket guide simply isn't worth the paper it's written on. Surely, as intelligent human beings, we can all see it is now time to ensure across all sports that the risk of serious injury is reduced and obvious dangers are eliminated as far as possible? The tragic recent events only serve to illustrate that there is clearly a lot more that can be done both on an individual and corporate level to raise awareness, enforce rules and evolve these rules as knowledge improves. The requirement to reduce obvious risk of injury should be mandatory, not a reaction to a tragic event when, for some, it is already too late.